The State of Print is an Artist Led Nation and it has been a pleasure to be offered citizenship. SOP is a touring exhibition that questions the nature of states, borders, and reproduction. Each time the state relocates to a new exhibition space it collects ten artists who print ten boxes which are absorbed into the collection. All works respond to the manifesto laid out by the state. See Real Artists at Work in the Art Zoo! Art Zoo breaks down the barriers between artists and audiences. Art Zoo is part performance, part installation, and part living sculpture. 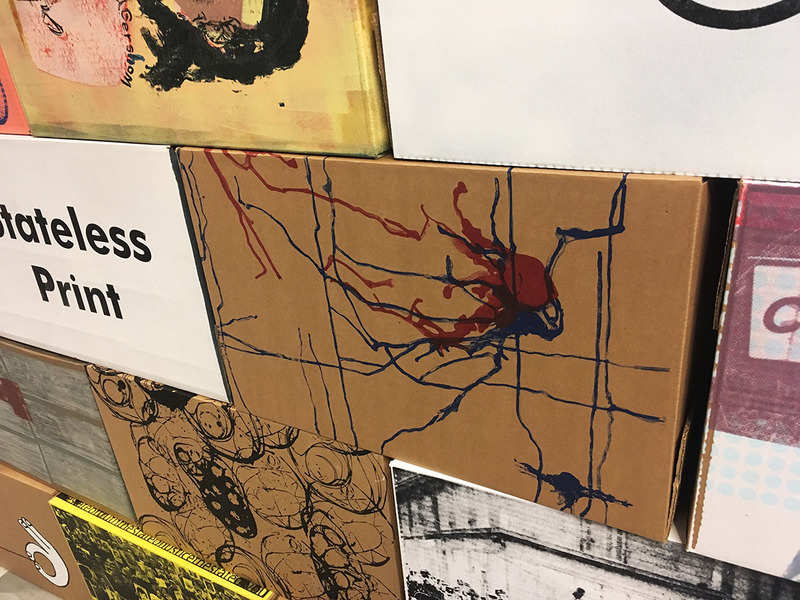 It is an absurdist event that will give visitors to the Harris a glimpse into the exciting and vibrant world of the artist and see how they work. 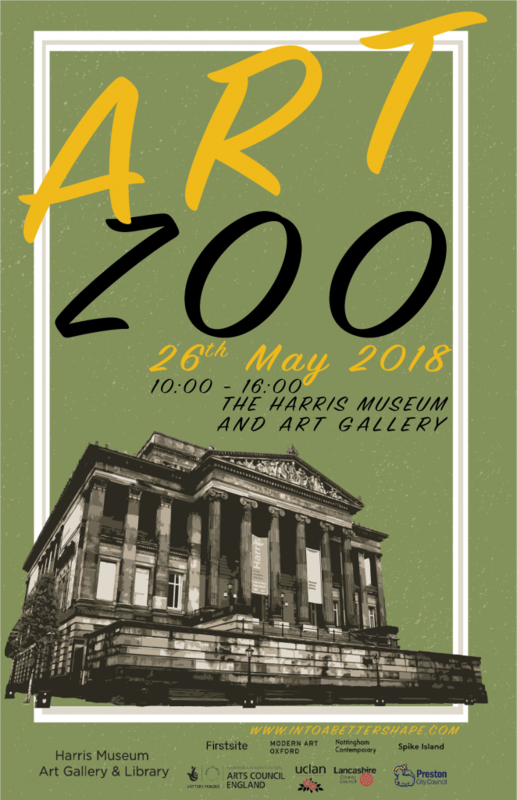 Art Zoo took place at the Harris Museum and Art Gallery on the 26th May 2018 and was a great success. Tours of the Harris were lead by the fantastic Stephanie Cottle as the Art Zoo, Zoo Keeper. Some of the specimens that she introduced the visitors to are featured below. Coming Soon…. Art Zoo breaks down the barriers between artists and audiences. Art Zoo is part performance, part installation, and part living sculpture. It is an absurdist event that will give visitors to the Harris a glimpse into an exciting and vibrant world. 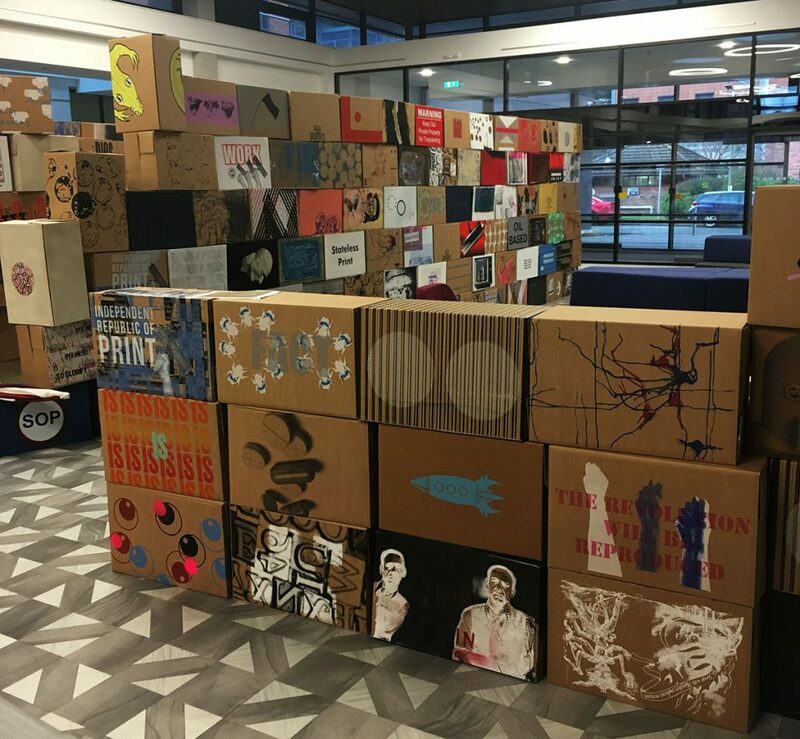 One of the perks of my position as Printmaking Technician at the University of Central Lancashire is that I get to be involved with so many interesting and unique projects. Ceramic Frankenstein, delivered by Erik Kok and Rudi Bastiaans from The AKI Academy of Art and Design was certainly out of the ordinary. Phenomenology and Experimental Screen Printing. A reoccurring theme in my practice is phenomenology – finding ways in which to articulate conscious experience. 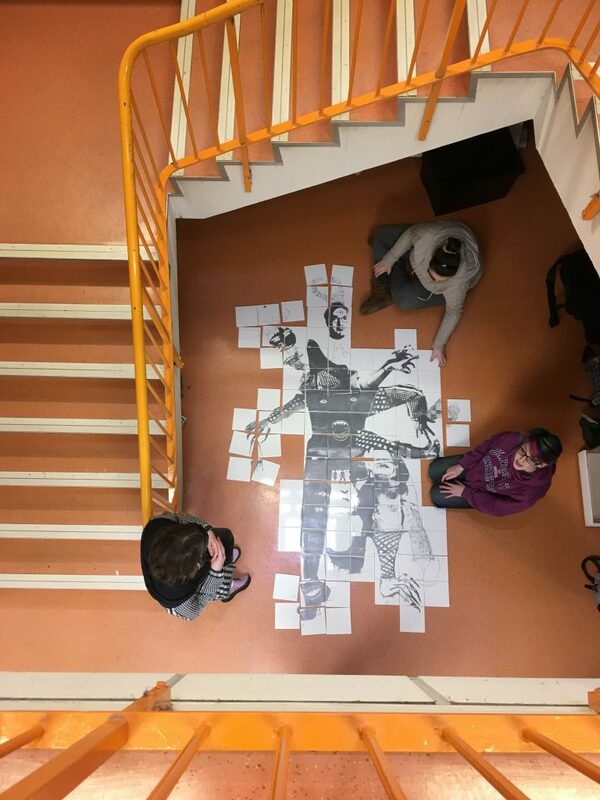 This can seem to be an absurd and somewhat futile task, to create (often) two-dimensional works that capture or express a three-dimensional reality that exists in flux. 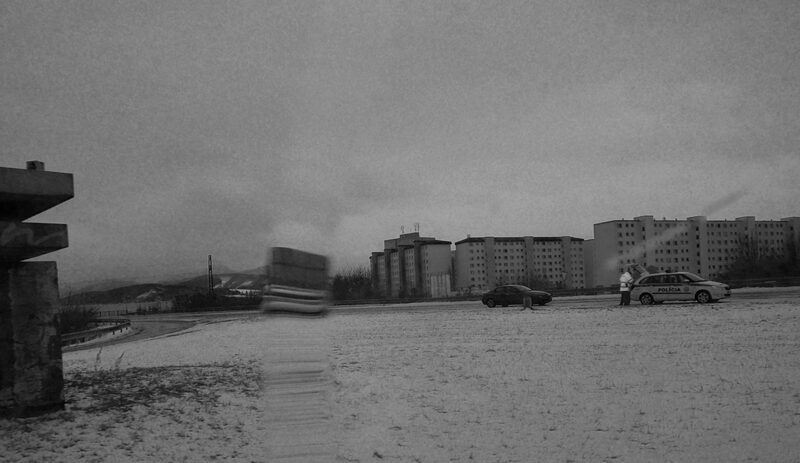 For this reason, I avoid trying to creating a ‘fixed’ or static image that represents a place. The works are a gateway to a conversation about the place rather than an illustration of place. My aim is therefore to create work that interacts with the environment in which it is presented. If the lighting changes, then so should the work, because after all, that is what ‘place’ is, as Maurice Merleau-Ponty says in the Phenomenology of Perception. All rights reserved. All content (texts, trademarks, illustrations, photos, graphics, files, designs, arrangements etc.) on this website Jane Elizabeth Bennett are protected by copyright and other protective laws. The contents of this website are to be used only in accordance with Internet regulations. 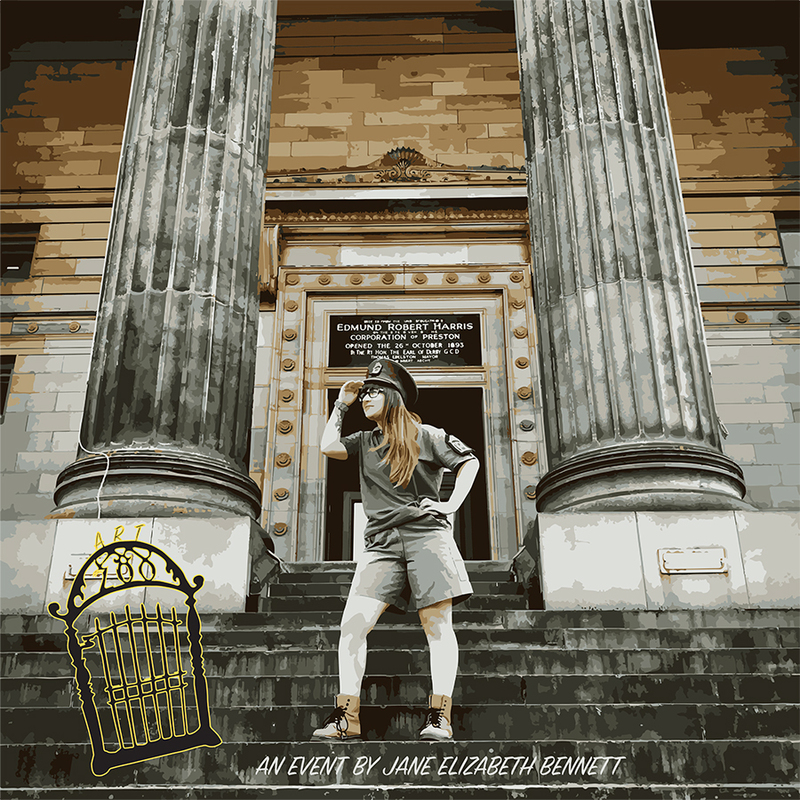 Without the explicit written permission of Jane Elizabeth Bennett it is prohibited to integrate in whole, or in part, any of the protected contents published on these websites into other programs or other web sites or to use them by any other means. This website can contain elements that are protected by copyright and by other laws that are subject to the copyright or other rights of third parties and that are correspondingly protected for these third parties.